Richard Birnholz has extensive experience in complex litigation in federal and state courts, concentrating on high-stakes patent litigation in courts throughout the country. He has tried cases in the United States district courts and before the U.S. International Trade Commission (ITC) and has successfully argued appeals before the U.S. Court of Appeals for the Federal Circuit. Richard was selected by Los Angeles Magazine for inclusion in the Southern California Rising Stars list in 2004 and the Southern California Super Lawyers list in 2005-2018. 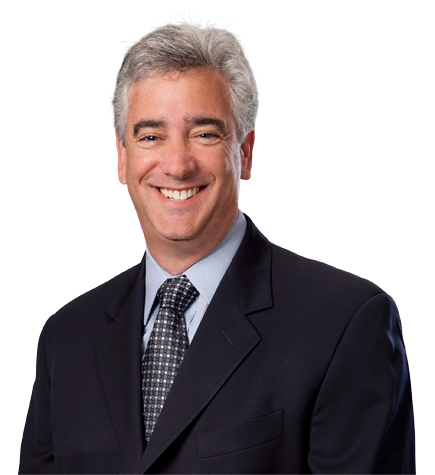 Before joining Irell & Manella LLP, Richard served as an extern for the Hon. Ruth Bader Ginsburg, then a judge of the U.S. Court of Appeals for the D.C. Circuit. During law school, Richard served on the editorial board of the UCLA Law Review and published a comment entitled, "The Validity and Propriety of Contingent Fee Controls," 37 U.C.L.A. L. Rev. 949 (1990). Immersion v. Apple. Represented Immersion as trial counsel in multi-patent action pending before the ITC, the U.S. District Court for the District of Delaware and the Patent Trial and Appeal Board. The dispute involved several Immersion patents relating to tactile feedback technologies that were asserted against Apple devices. The ITC case went to trial before the chief administrative law judge. The dispute settled when Immersion entered into settlement and license agreements with Apple, the terms of which are confidential. TiVo v. Samsung. Represented TiVo in patent infringement litigation against Samsung in the U.S. District Court for the Eastern District of Texas. The case involved TiVo’s claims under four patents relating to digital video recording (DVR) technologies. The Trustees of Columbia University in the City of New York v. Symantec. Representing Columbia in patent litigation in the U.S. District Court for the Eastern District of Virginia against Symantec involving antivirus and anomaly detection inventions. Motorola Mobility Inc. v. TiVo Inc./ TiVo Inc. v. Cisco Systems Inc. Represented TiVo Inc. in patent litigation over DVR technology against Motorola Mobility and Cisco Systems. On June 6, 2013, shortly before the start of trial, Motorola and Cisco agreed to pay $490 million to TiVo to resolve the litigation. TiVo v. Verizon. Represented TiVo in a patent infringement suit against Verizon accusing the company of infringing three of TiVo's DVR technology patents. In September 2012, shortly before trial was scheduled to begin, a settlement was reached in which Verizon agreed to provide TiVo with total compensation worth at least $250.4 million. As part of the settlement, TiVo and Verizon agreed to dismiss all pending litigation between the companies with prejudice. The parties also entered into a cross license of their respective patent portfolios in the advanced television field. TiVo v. AT&T. Represented TiVo in a suit against AT&T, alleging that AT&T's U-verse products and services infringed three of TiVo's patents covering DVR technology. In 2010, AT&T launched a countersuit in California accusing TiVo DVRs of violating three AT&T patents. In January 2012, just days before a trial on TiVo's patents, AT&T agreed to pay TiVo a minimum of $215 million, plus additional fees in case AT&T's DVR subscriber base exceeds certain levels. Infineon Technologies AG and Infineon Technologies North America Corp. v. Atmel Corporation. Represented Atmel in a multi-patent lawsuit in the U.S. District Court for the District of Delaware in which Infineon and Atmel asserted claims and counterclaims against each other relating to semiconductor technologies. After a successful claim construction hearing, the matter was resolved. IpVenture, Inc. v. Asus. Represented IpVenture in a patent infringement action against Asus in the U.S. District Court for the Northern District of California alleging infringement of patents relating to thermal management for computers. IpVenture, Inc. v. Lenovo (United States), Inc., et al. Represented IpVenture in a patent infringement action in the U.S. District Court for the District of Delaware alleging infringement of patents relating to thermal management for computers. After reaching settlements with several defendants, current parties in the action are Dell, Acer and Toshiba. IpVenture, Inc. v. Sony Electronics, Inc. and Panasonic Corporation of North America, et al. Represented IpVenture in a patent infringement action in the U.S. District Court for the District of Delaware alleging infringing of patents relating to thermal management for computers. The case settled. Quantum World Corporation v. Atmel Corporation et al. Represented Atmel in connection with a patent infringement suit in the U.S. District Court for the Eastern District of Texas involving patents on random number generators asserted against personal computers containing Trusted Platform Module security chips. The case against Atmel settled on mutually satisfactory terms, and all claims against Atmel were dismissed with prejudice. Internet Services LLC v. Immersion. Represented Immersion in a longstanding dispute brought by one of its patent licensees. In 2004, ISLLC asserted claims seeking a share of Immersion's $82 million patent infringement recovery from Sony Computer Entertainment (a case in which Irell also represented Immersion). After removing the case to the U.S. District Court for the Northern District of California, Immersion prevailed on all of ISLLC's claims, which were either dismissed on successful motions for judgment on the pleadings or motions for summary judgment. Immersion also asserted counterclaims against ISLLC, which were settled in August 2008. Microsoft v. Immersion. Represented Immersion in Microsoft's breach of contract action against Immersion in the Western District of Washington seeking a share of Immersion's recoveries in Immersion's patent infringement lawsuit against Sony. Immersion asserted breach of contract counterclaims against Microsoft. All claims and counterclaims were settled on mutually satisfactory terms. TiVo Inc. v. EchoStar Communications Corporation. Represented TiVo in connection with patent infringement suits in the Eastern District of Texas involving DVR products and services. In March 2004, TiVo filed an action against EchoStar for patent infringement. In May 2006, a team of lawyers from Irell obtained a jury verdict in favor of TiVo that EchoStar willfully infringed a TiVo patent and awarding TiVo $74 million in damages (plus additional amounts for interest and supplemental damages). The Federal Circuit affirmed the judgment. In 2005, EchoStar filed a separate patent infringement lawsuit against TiVo based on patents acquired from a third party. In July 2006, the court granted TiVo's motion to stay EchoStar's action against TiVo. In February 2011, the court lifted the stay after the conclusion of certain reexamination proceedings and reopened the action as to the one patent remaining in the case. In May 2011, the court dismissed the case pursuant to TiVo’s settlement with EchoStar under which EchoStar agreed to pay TiVo a total of $500 million. Immersion Corporation v. Sony Computer Entertainment and Microsoft Corporation. Represented Immersion in a patent infringement suit alleging that various PlayStation and Xbox video game products infringed two patents relating to tactile feedback systems. In July 2003, Microsoft settled with Immersion for approximately $26 million plus additional consideration. In September 2004, after a five-week trial, the jury returned a verdict in favor of Immersion, finding all asserted patent claims valid and infringed and awarding $82 million in damages. In February 2007, after Immersion prevailed in a series of post-trial proceedings, Sony paid Immersion approximately $150 million, which included Sony's satisfaction in full of the judgment, as well as payment of interest, compulsory license payments and future royalties. Richard also represented Immersion in patent litigation in the U.S. District Court for the Northern District of California against InterAct Accessories and represents Immersion in various matters relating to the company's intellectual property. IpVenture, Inc. v. ProStar Computer and Midern Computer. Represented IpVenture in patent infringement suit in the U.S. District Court for the Central District of California alleging infringing of patents relating to thermal management for computers. Richard successfully prosecuted an appeal to the U.S. Court of Appeals for the Federal Circuit and obtained a reversal of the district court's ruling that a third party was a co-owner of the patent-in-suit. The Federal Circuit's published opinion in favor of IpVenture is reported at IPVenture, Inc. v. Prostar Computer, Inc., 503 F.3d 1324 (Fed. Cir. 2007). On remand, the case settled and concluded, with the court entering a consent judgment of infringement, validity and enforceability of the patent-in-suit. Novartis Consumer Health v. Elan Transdermal Technologies. Represented Elan in patent suit in which Elan and Novartis asserted claims and counterclaims alleging infringement of patents relating to transdermal nicotine patch smoking cessation aids. Bayer v. Elan Corporation. Represented Elan Corporation in three separate actions alleging infringement of patents relating to pharmaceutical formulations. In the first suit, the firm obtained summary judgment of noninfringement and prosecution history estoppel and an affirmance in the Federal Circuit. Bloomstein v. Lucas Digital. Represented Lucas Digital (Industrial Light & Magic) in two separate actions alleging infringement of patents claimed to cover movie special effects involving speech animation. The first suit involved visual effects for Forrest Gump. Judgment of noninfringement, and invalidity of one of two patents asserted, was entered in favor of Lucas Digital and affirmed by the Federal Circuit. The second suit involved effects for Star Wars: Episode II, Attack of the Clones, among other films. The plaintiff dismissed this suit after successful motions to transfer venue. Sonus Pharmaceuticals v. Molecular Biosystems. Represented Sonus Pharmaceuticals in an action alleging infringement of patents relating to ultrasound contrast agents. Also represented Sonus in litigation against DuPont involving the same patents. Trilogy Software v. Carsdirect.com. Represented Carsdirect.com in a patent infringement suit alleging infringement of business method patents relating to methods of configuring systems. Michelson v. Wright Medical Technologies, Inc. Represented inventor Dr. Gary Michelson in an action alleging breach of contract and related claims involving technology for cervical plates used in spinal fusion surgery. Hollywood Video v. hollywood.com. Represented the Times Mirror Company and its former subsidiary Hollywood Online in an action alleging that the use of the Hollywood Sign and other marks on the internet site "hollywood.com" infringed certain Hollywood Video trademarks. Husky Injection Molding Systems Ltd. v. HPM Corporation. Represented HPM Corporation in action alleging infringement of patents relating to the design of platens used during clamping on injection molding machines. California Pharmacists Association v. Thrifty Drug Stores. Defended Thrifty Drug Stores from independent pharmacists' allegations of unfair competition and antitrust allegations relating to alleged "below cost" pricing in connection with HMO prescription drug reimbursement plans.